Scars stretch marks are common skin and dermal sores, with unique physical and psychological effect. Numerous therapeutic modalities are available. However, none can wipe out stretch marks and scars. The most widely recognized therapy is the application of topical, used both therapeutically and prophylactically. Scars and stretch marks are problematic for thousands of patients. 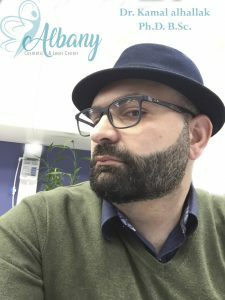 In any case, the appearance of a scar or stretch mark and its treatment rely upon various factors and on the experience of the therapist and the alternatives available. Regardless of a plethora of rapidly developing treatment choices and technical advances, the management of atrophic and hypertrophic scars and stretch marks remains difficult. Innovative technologies give an attractive alternative to conventional techniques in the treatment of scars and stretch marks. On a bright note, Stretch mark (SD) or stretch marks are regular dermal lesions which arise because of the stretching of the dermis. There are two types of SD; striae rubrae and striae albae. The acute stage (striae rubrae) is distinguished by the underlying erythematous, red and stretched flat sores which are adjusted opposite to the heading of skin tension and can be symptomatic, while the chronic stage (striae albae) is grouped when SD has faded and seem atrophic, wrinkled, and hypopigmented. Stretch marks appear on the skin of young and old, men and women, as well as thin fat and thin. In most cases, they don’t hurt or irritate the skin so many individuals don’t see them until the point that they get incredibly awful or perceptible. At the end when stretch marks initially happen, they are pinkish red which is caused by micro blood vessels breaking up from inside and bleeding. They can also start up and be a faint pale color, however later on they change and turn into a pale silvery white. If they get larger, they can cover the entire body and strike anywhere. Then again, Scar formation is a natural part of the healing procedure that happens when the skin repairs wounds caused by accident, surgery or disease. Scars are formed by the over a generation of a naturally occurring chemical in the body called collagen. In the standard healing procedure, once the wound has healed, collagen quits being created, and the skin comes back to normal. The time skin takes to recover will vary based upon the level of damage, and the more it takes to heal the higher the chance of a noticeable scar. Hypertrophic, Keloids, Burn and Atrophic scars are different types of scars that make a specific mark on the skin. The Hypertrophic scars are the most widely recognized kind of scar and usually take after a trauma, for example, a burn or accident, or after surgery. It takes after the line of the surgical wound, where the burn has been or where the original cut was. Keloids are found in about 15% of the population and are more prevalent in people with dark (African or Asian) skin. The cause of Keloids isn’t entirely known, yet they usually take damage. Be that as it may, Keloids have a tendency to occur from the age of 10 and 30 and occur mainly on the chest, ear or shoulders. The primary way to tell if the scar is hypertrophic or a Keloid is that Keloids expand away from the area of the damage and can be very large. Over 80% of Keloid patients complain of itching, and 50% complain of pain associated with the Keloid. Treatment is ordinarily complicated and best done under the supervision of a specialist. Burn is another kind of scar formed when the skin is burned on the best layer (superficial burn) or through to the second layer of skin (partial thickness burn). Burns have a tendency to be complicated and are slow to heal. As a result of this, a great many burns wind up with scars. If the wound does not heal appropriately within two weeks, at that point there is an over 80% chance that a scar will be created. The measure of the scar relies on the extent of the burn and tend to be hypertrophic scars yet spread over a large area. Lastly, Atrophic scars are small hollowed indentations in the skin. These are usually happening after acne, chicken pox, insect bites or at times after injections. The scars are sometimes red yet can fade after some time. The redness of atrophic scars can be treated by simple, convenient therapy such as; microneedle therapy, laser therapy, and other modern approaches. Stretch marks start as irregular reddish streaks in the skin and develop into silver or white glossy lines. These lines that once frustrated millions are presently being diminished and once in a while even erased entirely utilizing the newest laser innovation, Fraxel™ skin resurfacing laser. The Fraxel ™ laser has as of late demonstrated dramatic outcomes, enhancing the appearance of stretch marks by as much as 75%. Each Fraxel ™ treatment sends thousands of tiny but profound beams of laser light into the dermis where it stimulates the creation of new collagen and elastin filaments. Fraxel™ stimulates the skin’s natural healing procedure to fill in and repair the scarred and over-stretched dermis. As new collagen is formed, stretch marks fade as skin tone and solidness make strides. For optimal outcomes, 5-6 treatments are performed 2 to 4 weeks apart. Fraxel™ is also FDA approved for and gives dramatic outcomes in the treatment of fine lines and wrinkles, acne and surgical scarring, age and sun-spots, and melasma. Laser treatments are not recommended during pregnancy, but rather can be performed almost immediately afterward. Laser-based treatments enhance the color and skin texture associated with stretch marks, with minimal pain and downtime. The procedures replace the older scarred tissue with new collagen and elastic strands, limiting the appearance of stretch marks and scars, leaving patients with smoother, better-looking skin. Laser surgeries can be costly and frequently take various treatments, but they have demonstrated success in reducing the appearance of stretch marks and scars through the thighs, abdomen and other parts of the body that are affected. Although creams and moisturizers have not been demonstrated to eradicate stretch marks or scars, however patients who are unwilling to experience laser therapy may profit by a series of microneedling. Skin needling is a strategy predominantly used to enhance the appearance of cutaneous scarring and photodamage. Fine needles cut the skin, bringing about increased dermal elastin and collagen, collagen remodeling, and thickening of the epidermis and dermis. Skin needling creates small channels, which increase the absorption of topically applied preparations, a property which has been used as a part of various dermatological treatments. There is moderate confirmation to propose that skin needling is beneficial and safe for the treatment of Stretch marks and scars. However, double-blinded, randomized controlled trials are required to make more definitive conclusions. Other therapies available for the treatment of scar and stretch mark treatment options include; Topical treatment, Microdermabrasion, Chemical peels, etc. Conclusively, stretch mark methodology is time-consuming and exorbitant and their impact and consequences you may not always have bargained on, planned for or considered as a part of likely outcomes or dangers. This is highly unfortunate. Skin coloration and permanent scars are only some of these examples. It is essential to consider all of the potentially adverse impacts that can occur from the stretch mark and scar treatments that are being considered. 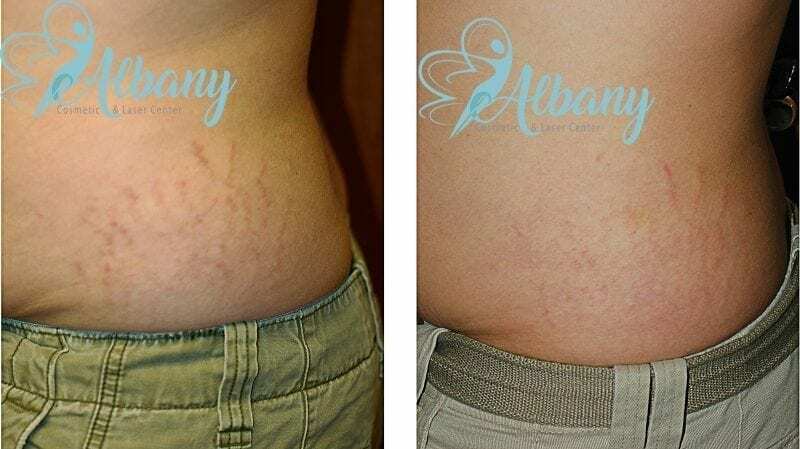 Laser stretch mark and scar treatment being a non-surgical methodology that utilizes pulses of fractional laser light to enhance the appearance of the skin. In only a couple of straightforward therapies, the scar can be evacuated, stretch marks can be smoothed, and the skin can be ready to bare. In any case, by using tiny needles which reach down into the scar or stretch mark, the depressed areas which are tethered are broken, and the body starts the healing procedure by forming new collagen and healing the affected area from the base up. These modalities are incredibly useful, have minimal risk and require no downtime. The Fort Edmonton Park is located in Edmonton and it is home to the biggest history museum in Canada.